Solid Rock Church cares about one thing more than anything else, Jesus Christ. SRC is a family of individuals that have found hope in Jesus, and simply want as many people as possible to experience that exact same freedom. Solid Rock Church was started in 1994 with 10 people. Through the years we have grown in number, but more importantly grown together as a family. We are currently in our 5th building. The story of SRC is truly a miracle. Each of the first 4 buildings we occupied, were either condemned or in extreme decay. The people of our church volunteered and restored or rebuilt each facility. In October of 2013 we purchased our current facility we affectionally call "5050 Vision" (because of the address 5050 Pinson Valley Pkwy - Birmingham, AL 35215). One of the things you will hear our Pastor say often is, "We operate NOW as we will WHEN." In other words, we are always concentrating on the present, but building towards the future. We are constantly trying to find ways to reach the broken and hurting. It is our greatest desire to make a difference in our community. We continue to pray for God to send us people just like you! There are gifts in you that we want to help bring out and use for God's glory. SRC has a vision! We are very intentional in where we are going. We would love for you to join us! What does this mean for you?  Most importantly, you're always welcome at Solid Rock Church. We're saving a seat for you. Wherever you're at in your faith journey, you'll always be accepted as part of the SRC family.